The millions of Indians who lined up at banks over the past week probably wish an ATM would just come to them. For a lucky few, it did. 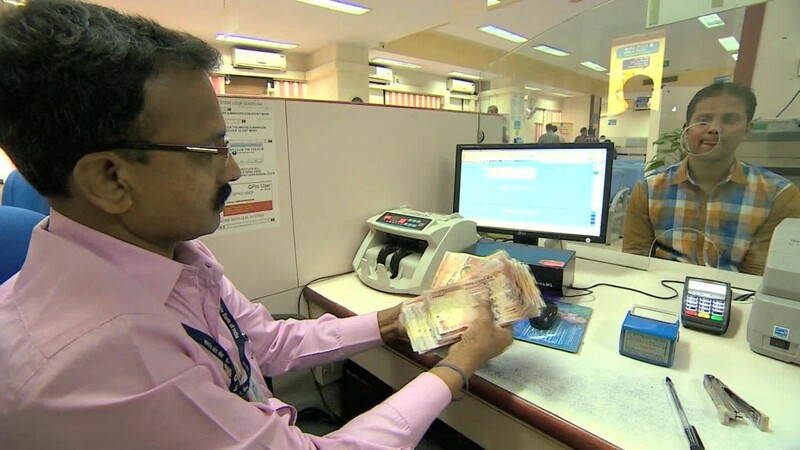 Since Prime Minister Narendra Modi banned 500 and 1,000 rupee notes last Tuesday — a shock move aimed at combating corruption and tax evasion — banks have been besieged by crowds trying to exchange their defunct cash. ATMs, stocked with only 100 rupee notes (about $1.50), are emptying within hours and tempers are fraying. 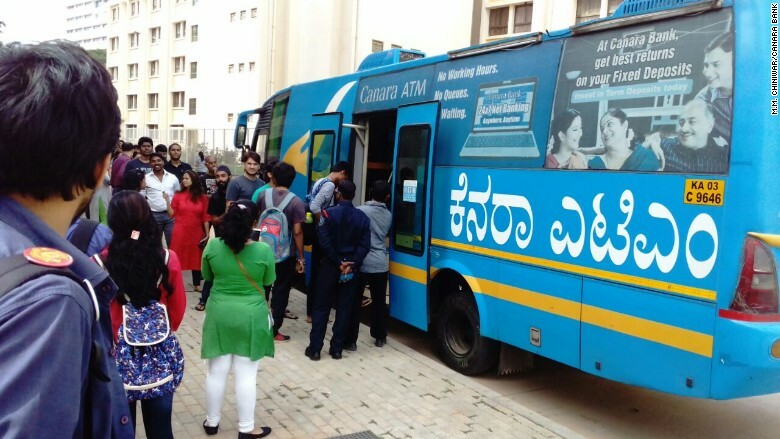 Enter Canara Bank's bright blue ATM bus. 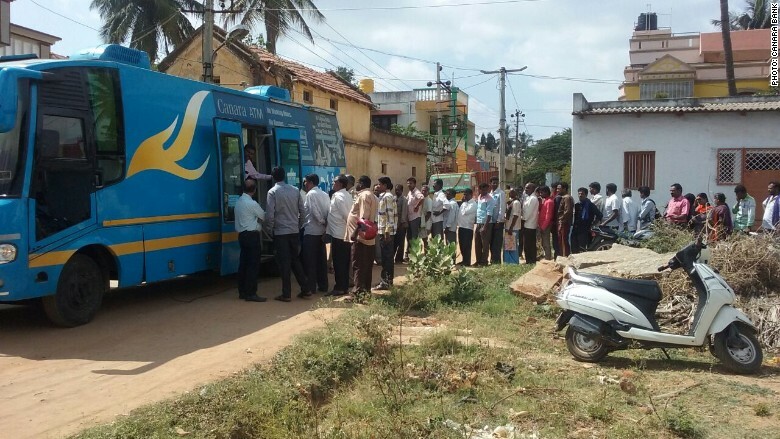 The regional bank, based in Bangalore, rolled out the bus in one of the city's busiest areas on Sunday evening. It was immediately surrounded by crowds. "It was used the whole night and got a good response from the people," said M.M. Chiniwar, general manager of a bank branch in the city, a tech hub in southern India. "There is no end" to the demand, he added. The mobile ATM has been used over the past five years to bring banking to rural areas. But Chiniwar decided to deploy it in the city in the evenings to address what he described as a "crisis." Over the last two days, the bus has processed over 1,600 transactions worth about 3.2 million rupees ($47,000). With millions still lining up for hours around the country to withdraw new notes, and nearly half the country's 200,000 ATMs not working, the bus is just a drop in the ocean. But Chiniwar says the mobility it provides allows his bank to target the most chaotic localities. "We wish to have another five or six," he said, "but that will take time." In the meantime, he hopes that new government-issued 500 and 2,000 rupee notes will be available at ATMs at some point this week. The machines need to be adjusted because the new notes are smaller than the old. "That will solve all the problems," he added. Until then, the ATM bus will keep rolling up to whichever crowded neighborhood needs it most. "We have kept it full so that they are spending less time in the queue and spending more time shopping," Chiniwar said.